nero profumo: Comme Des Garcons Amazingreen: Amazing Fail! 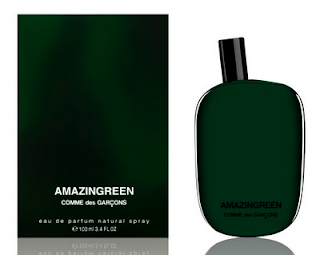 Comme Des Garcons Amazingreen: Amazing Fail! Personally I wasn't expecting something weird or even avant-garde but just a solid mainstream release a-la CDG2Man. It was about time to get a new blockbuster from Comme Des Garcons but, IMO, Amazingreen is very far from being a valid candidate.